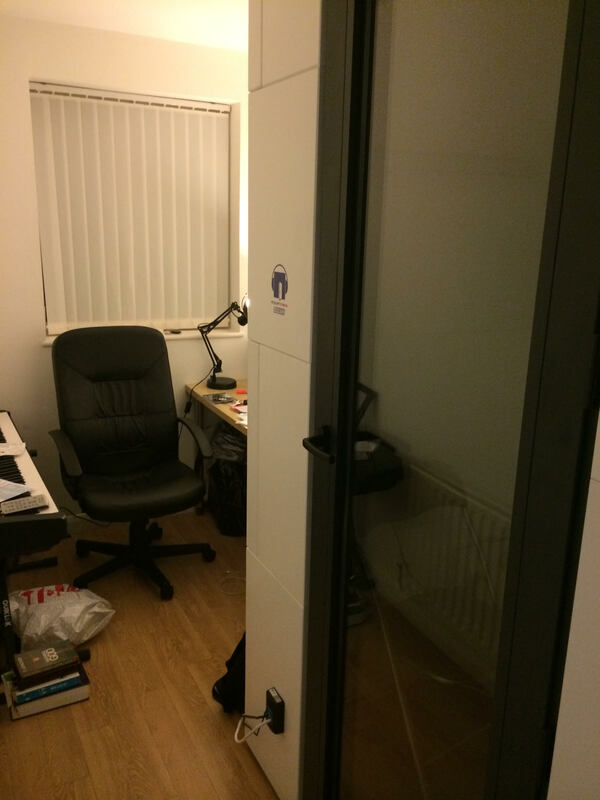 An AcoustiCabin Express sound-isolation cabin certainly squeezed into a tight space when installed in Andrew Chisholm’s flat. The AcoustiCabin Express sound-isolation cabin is designed to be self-installed but without compromising the booth’s excellent sound-isolating properties. Impressive sound isolation is achieved thanks to the use of high performance acoustic materials in the slot-together patented panels. The modular, interlocking panel design permits considerable flexibility in size and footprint. A Christian musician whose music reflects his life and faith, his compositions are strongly influenced by the Gospel and Jazz music styles. Andrew's music is largely instrumental, focused heavily around the tenor and soprano saxophones, with the occasional splash of background vocals. The music is smooth in nature, with elements of classic and modern jazz fused together to create a rich, yet soulful blend.